Easy to use, simple to operate and looks good. Highly practical. The timer dial only goes up to 35 minutes. The Daewoo KOR6N35S is incredibly simple to operate, and ideal for those with poor eyesight, or the elderly. No confusing buttons, it merely features 5 different power settings, from defrost to high power. It's easy to clean, and features a stainless steel interior, which wipes down for easy maintenance. 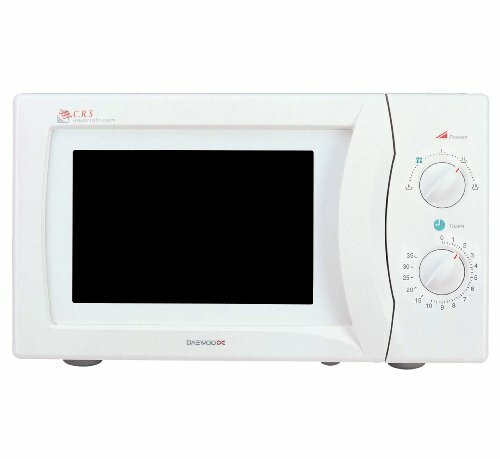 The Daewoo timer only goes up to 35 minutes, which is a slight issue for those who like to use their microwaves on a low setting for longer periods of time, but asides from that we can't fault it. This is dial operated, which makes it easy for the less tech savvy amongst us. Essentially this is an easy to use, low maintenance white microwave, finished in a neutral white colour scheme, and will make an ideal fit and forget kitchen appliance. 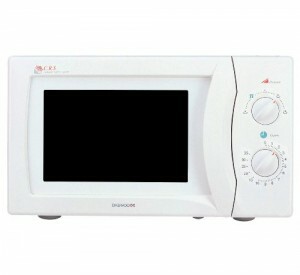 The Daewoo KOR6N35S is ideal for the elderly, or for anyone who wants a simple to operate microwave oven. Durable Stainless Steel Cavity - built to last. 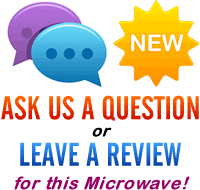 What are the defrosting options on the Daewoo KOR6N35S microwave? Can the time be adjusted rather than working by weight?